Get tips to discuss alcoholism in your teen. Learn tips for discussing drinking with your teenager. 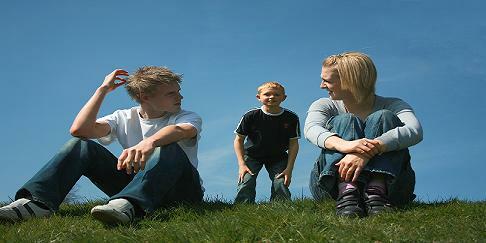 Important tips when talking to teens, start before the child is in their teens in the first place. You must keep the communication open by not being judgmental. Always include them in the conversation and ask them what they think. Even the youngest child has ideas and enjoys expressing them, if the adult will listen. So by the time the child is in their teens, they should be open to discussing anything with you and not fear that you will get angry and condemn them. Alcoholism is not an easy subject - particularly if you've had a drinking problem, and teen years are experimental ones. We can tell them not to, but experiment with drinking and drugs, but they may do it whether you like it or not. Around the 5th Grade, is a critical stage. The child is easily influenced. With the internet and TV, leaving very little to the imagination, you’d be amazed how much they see and talk about They discuss things with other kids, but they get some pretty distorted viewpoints and they’re often confused. Here’s where they need your guidance. TV commercials are a great lead in to discuss addiction. In one study 9.6% of 12yr olds reported drinking at least once and by age 13 the percentage doubles - by 15yrs it’s over 50%. So start talking the sooner the better. So, without being judgmental, provide them with knowledge and understanding to help them build the practical skills to say ‘NO’. 1) Establish and maintain good communication Many parents communicate will with a child until they are preteens and teens. Then they find it awkward. Your kids need you most during these years. Keep talking. 2) Get involved and stay involved in your kid's life.This is another way of saying 'listen' more and lecture and talk less. 3) Make clear rules and enforce them with consistency and appropriate consequences. In other words DON'T OVER REACT. Fit the punishment with the crime. 4) Be a positive role model. A tip here would be, don't come home drunk, if you don't want your kids to do likewise. Should you get drunk, don't ignore it, talk about it with them. 5) Teach your child to choose the right friends. This tip starts at a young age. Better to start in the early years before they learn to choose negative people. 6) Monitor your child's activities. Don't let the computer and the TV baby sit for them. Keep your eyes and ears open to what's going on - and once again encourage them to talk openly. Teens often use cocaine for weight loss. The party drug ecstasy targets young people. Get the facts.